Any thread, any material, Jones Tools & Manufacturing has the equipment necessary to meet your component part needs. If a process cannot be completed in-house, we have the means to outsource, always delivering a finished component part. We manufacture custom precision CNC machined parts for a variety of industries with products varying from order to order. Jones Tools & Manufacturing produces quality products fitting the needs of many industries. From the raw material, sawing and lathe machining to the final stages of heat treatment and metal finishes (zinc, pain or black oxide), your part will be completed and ready for assembly. Our machining operations are flawlessly coordinated to produce the component parts needed to complete your product. Unlike other machining companies, we are ISO 9001-certified, delivering quality workmanship with each and every part we manufacture. Jones Tools & Manufacturing specializes in a variety of machined parts. For additional component part inquiries, contact our manufacturing specialists today with details. Jones Tools & Manufacturing has the capabilities to produce the component part you need and are committed to helping your continued success. We meet even the most challenging standards – for quality, price and delivery. Our skilled manufacturing specialists use state-of-the-art CNC manufacturing to deliver the finest component parts for every application. We are constantly improving and expanding our manufacturing capabilities, and we only produce component parts you can rely on. We are dedicated to helping you achieve maximum productivity and the highest possible standard of quality. To assure your complete satisfaction, we will exceed your expectations whatever they are, keeping you ahead of your competition. Jones Tools & Manufacturing has earned an outstanding industry reputation for top-quality production, on-time delivery and superb customer service. From concept to completion, we will provide the finest component part service you have ever experienced. The CNC machines we utilize manufacture parts for a wide range of processing machines, an asset to the OEM industrial equipment manufacturing sector. We consider OEM machined component parts our area of expertise. Jones Tools & Manufacturing can manufacture breather plates, fill plates, and mounting plates in brass, aluminum, stainless or carbon based steel while strictly adhering to your specifications. 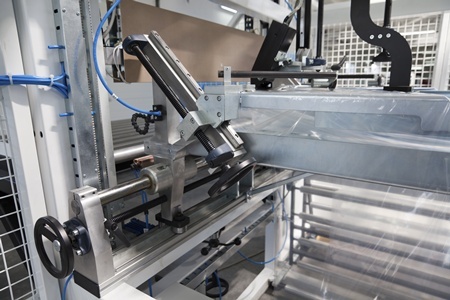 Our expert machinists have produced OEM components for both the food production and packaging equipment industries. Clients depend on us for consistent, high quality parts. Jones Tools & Manufacturing has decades of experience to manufacture the components you need - on time, every time. We offer heat treating, metal plating and anodizing finishing on completed components. Jones Tools & Manufacturing is earning a worldwide reputation for unparalleled level of expertise and affordable pricing in CNC Machining technology. 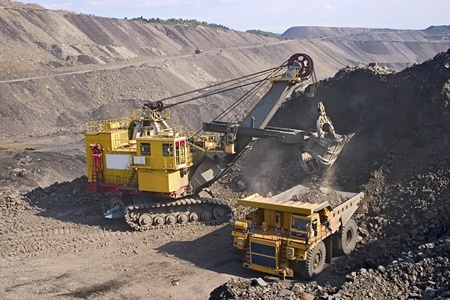 The mining industry depends on truck transportation. The trucks used require specific parts to complete their highly specific jobs. Other components, wheel studs, nuts, washer and blocks, can all be manufactured by Jones Tools & Manufacturing CNC machines and engineers. Parts can be built faster with CNC machines. Our years of experience producing custom pulleys mean you get cost-effective machine parts. Parts currently produced with multiple machines can be manufactured in just one CNC machine by an experienced engineer, saving you time and money. Jones Tools & Manufacturing is earning a worldwide reputation for unparalleled level of expertise and affordable pricing in CNC Machining technology. We offer heat treating, metal plating and anodizing finishing on completed components. Rely on Jones Tools & Manufacturing for component parts you can depend on to keep your conveyors running smoothly. Jones Tools & Manufacturing’s precise CNC machines can machine shafts, studs, blocks, special nuts and spacers for use in conveyor equipment out of durable materials including brass and aluminum. We are especially known for our non-standard fasteners production which gives greater flexibility to your design ideas. 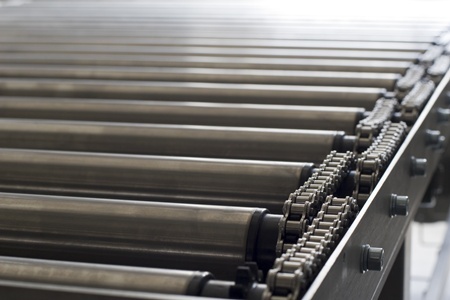 Belt productivity depends on how well individual parts are made to keep the conveyor moving. 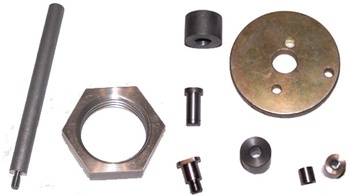 Our CNC component parts are expertly manufactured for reliable performance for years to come. Jones Tools & Manufacturing is earning a worldwide reputation for unparalleled level of expertise and affordable pricing in CNC Machining technology. We offer heat treating, metal plating and anodizing finishing on completed components providing customers with maximum reliability and consistent quality. The component part engineers at Jones Tools & Manufacturing deliver reliable products to match your exact industry specifications. 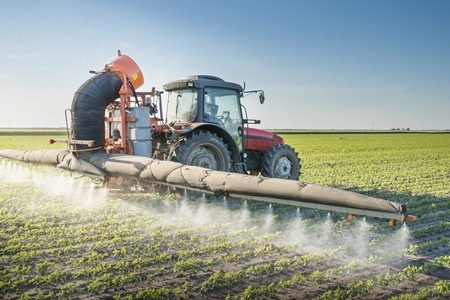 Cultivators and grain drilling machines all require unique components, like metal studs and flanges, to operate and replacement parts can be difficult to acquire. CNC machines are able to produce these necessary parts in materials from aluminum to brass to a wide array of alloys to ensure durable and reliable finished products. Jones Tools & Manufacturing has experience machining coulters and hubs for plows and fertilizer applicators and can create custom components for your specific agricultural needs. Jones Tools & Manufacturing is earning a worldwide reputation for unparalleled level of expertise and affordable pricing in CNC Machining technology. Creating parts for the medical community requires an extra level of precision. 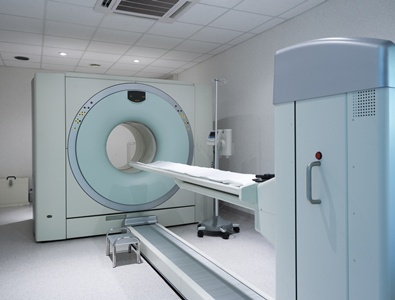 There’s no room for equipment error, especially with complicated MRI machines. Jones Tools & Manufacturing CNC machines are more precise than components produced through manual machining. Our skilled CNC machinists have experience manufacturing components used in whole-body scanners used in hospitals every day. Our engineers will work with you from start to finish to produce the exact components you need for an entire hospital or a single unit. Jones Tools & Manufacturing has a worldwide reputation for unparalleled level of expertise and affordable pricing in CNC Machining technology. Utility work often requires unique tools to function. 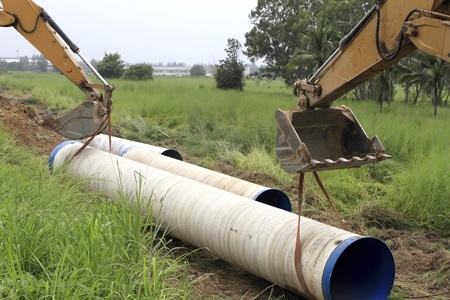 Lately, the demand for sewer lateral replacements has led to an increase in lateral bursting tool manufacturing for sewage technicians. Jones Tools & Manufacturing has experience producing components necessary for lateral bursting tool and others related to utility work. Parts can be produced in aluminum for lightweight efficiency on the job. Jones Tools & Manufacturing is earning a worldwide reputation for unparalleled level of expertise and affordable pricing in CNC Machining technology. Our CNC machines can produce components in sizes specific to your needs and can be custom designed with the help of experienced engineers for any job you may encounter. 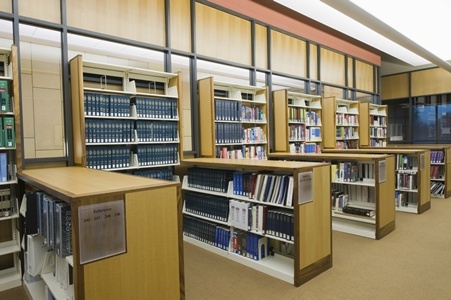 From library shelving to weapons evidence storage, CNC manufactured parts can keep high-density mobile shelving operations running smoothly. Precision components like hinges and fasteners can be made to fit whatever shelving unit you need. Our non-standard fasteners can be made out of brass, aluminum and other various alloys for greater durability. Jones Tools & Manufacturing is earning a worldwide reputation for unparalleled level of expertise and affordable pricing in CNC Machining technology. Our expert machinists can use materials from brass to a multitude of alloys to meet your exact manufacturing needs. 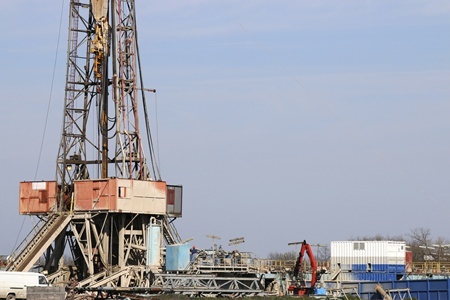 The oilfield can be dangerous, so having reliable tools is of the utmost importance. Oil suppression suppressors need flappers and housings that won’t fail at a critical moment. Jones Tools & Manufacturing has experience manufacturing CNC parts for the oil industry, including drill and chain parts. CNC machining allows for made-to-fit drag chain parts to be easily manufactured for each specific job you need. 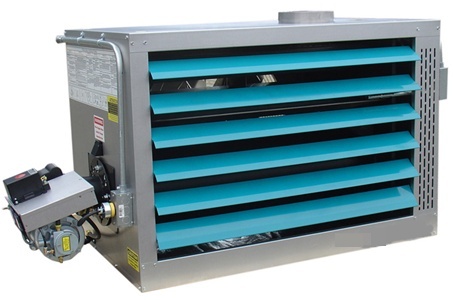 Jones Tools & Manufacturing has experience manufacturing waste oil heater components for regular and ductless heater models. Oil buildup can be dangerous, so internal parts for oil heaters have to be carefully constructed with high quality parts. Our machinists are able to work with brass, aluminum, and stainless steel alloy to give you safer components and avoid parts getting stuck on oil. Contact the component manufacturers today to receive high-quality machined parts at the best value.